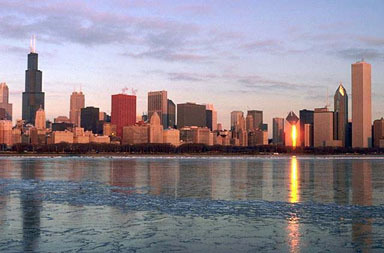 Schnidt Cartage, Inc. serving Chicago & suburban needs for over 60 years. Specializing in Next Day LTL. Our Fleet consists of 30 Tandem Tractors & Straight Trucks. 30 Drivers - Courteous, Trained and Uniformed. 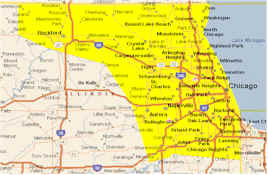 Local Service Area: consists of the Metropolitan area of Chicago and its surrounding Suburbs (75 mile radius) offering Same Day Pickup and Next Day Delivery. Expanded Service Area: consists of Daily Pickup and Deliveries to Rockford and Milwaukee, Wisconsin. GPS Tracking on our entire fleet of trucks. 95,000 Square Foot clean and heated Warehouse for Consolidation, "staging" and preparation. Emergency Same Day Pickup and Delivery (Hot Shots!). Container Pickup& Delivery and Container Breakdown. Next Day POD's & Freight Charges (upon request).